Community Festival has confirmed seven new artists for its 2018 edition, including Marmozets, Sam Fender, Bad Sounds, King Nun, Ten Tonnes. 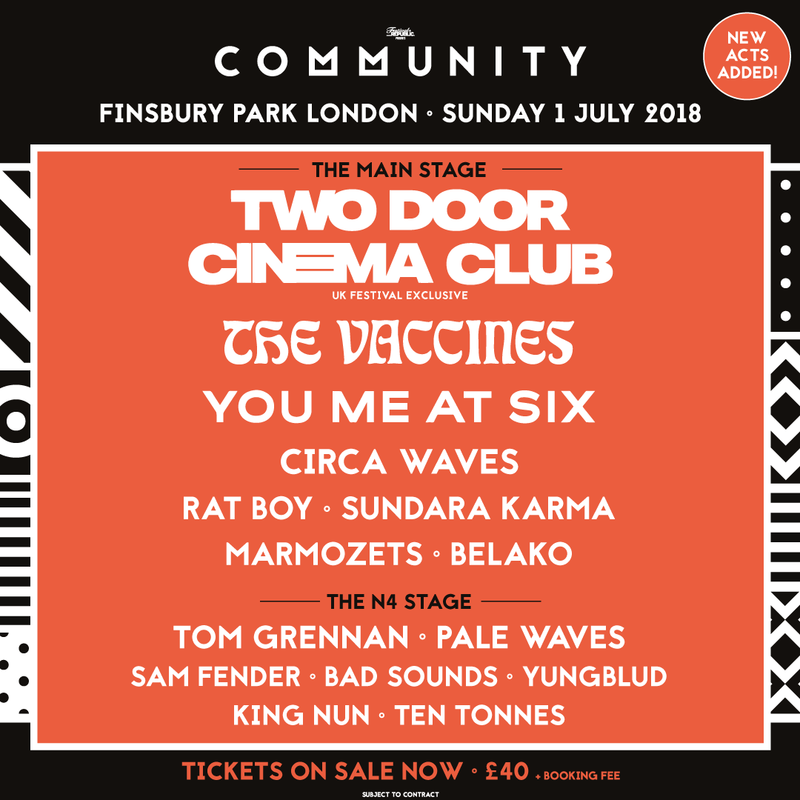 They will join Two Door Cinema Club, The Vaccines and You Me At Six in London's Finsbury Park on Sunday 1 July for what will be the festival's second edition. Yorkshire quintet Marmozets released their acclaimed second album Knowing What You Know Now last week. The Guardian called it a "great leap forward", while the NME praised it as "sharp, smart, angry tunes" and Kerrang called it "one of the best rock releases of 2018." Sam Fender, one of the BBC Music Sound of 2018 stars, also joins the bill. 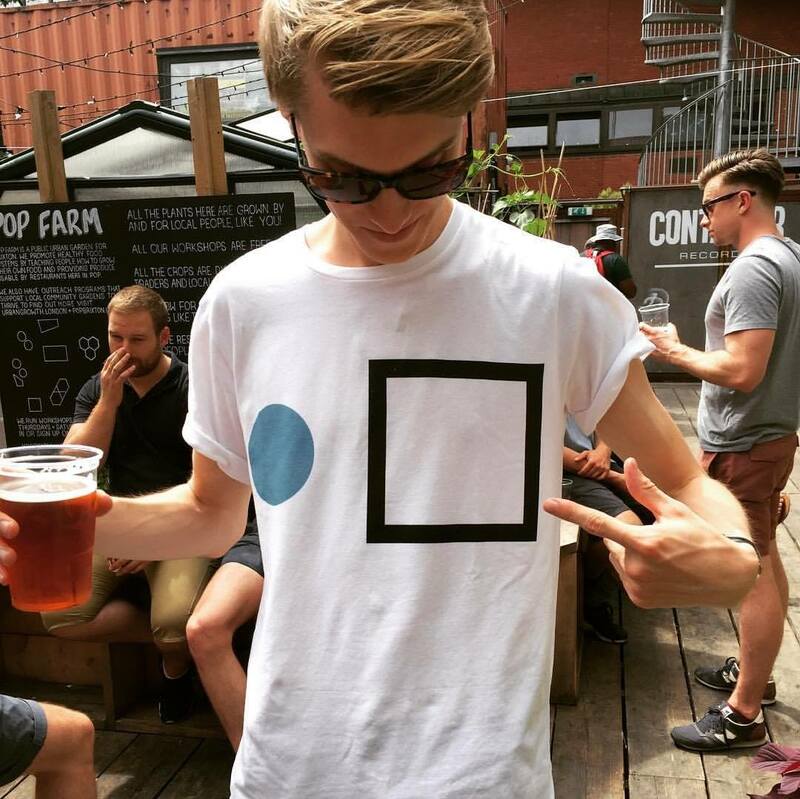 Sam burst onto the scene in 2017 with debut single Play God and his grit and fresh lyrical take on modern society is attracting fans including Radio 1's Annie Mac. Bad Sound will bring their energetic live show to London, combining a fresh and unique sound with old-school hip-hop lyrics, filthy bass lines and big beats. Also announced today are Yungblud and Belako, with many more names still to be confirmed. Community Festival will take place on Sunday 1 July 2018. Find out more on our guide, and book your tickets and accommodation to Community Festival here.